Recommendations are available in Microsoft Security Advisory 2963983 as well as my blog post, Security Advisory 2963983, IE Zero-Day Vulnerability which includes additional references. IMPORTANT NOTE: Once a Microsoft product's support has expired -- as is true now about Windows XP SP3 since April 8, 2014 -- Microsoft no longer lists it as affected by the vulnerabilities being patched. Microsoft only list Windows versions which are still under Mainstream Support or Extended Support. This has always been the case. should be using a 'real' software firewall as well as a good AV program. Just one good choice that will continue to support Windows XP is ESET's Smart Security which is a very good antivirus and firewall. It is the one I use. It is not free. There are several free antivirus programs but not many free security suites. no banking ... note very soon banks will be disallowing expired Windows XP entirely anyway. To those planning to stick resolutely with the aged Windows XP operating system even after Microsoft ends support next year, the advice from experts is simple: Don't do it. This was part of my posting today here. Good advice in the link about converting to Linux. However I still believe that installing and configuring an operating system is beyond the capabilities of the average XP refugee. It takes some help from a Linux advocate. As far as using LM 13 good idea unless your "client" decides on the newest HP printer - in which case be ready to install the latest HPLIP and hope that an "update" doesn't revert to an older version and hose your printing capability. Printers are a must for older folks as they want paper documentation. Right now I have a lady in this situation and I am waiting for LM 17 so that I can fix her up for a few years. Edited by raymac46, 27 April 2014 - 05:47 PM. Google Chrome and Mozilla Firefox (as well as Pale Moon) run on Windows XP and will receive security fixes until at least April 2015. Yep, so true. That's why I offer some thoughts on that at the bottom of my blog posting that I linked to. However, because some malware has been known in the past to call other software such as IE (especially if the timing is such that they can mix this with another vulnerability such as in Flash, etc. ), there may still be a chance that the bad guys could then make use of the IE Zero-Day (in XP in particular) since it isn't going to be fixed (whenever Microsoft gets around to fixing it for the still supported Windows versions). This is why not only using another browser, but blocking IE through the software firewall OR using EMET v3 might be very important as well if one is foolish enough to continue to use XP on the Internet. An out of band security update is being released today. In a surprising move, Microsoft has indeed decided to issue an update for Windows XP users! It looks like they have not updated the previous postings as yet however, the Microsoft Security Bulletin MS14-021 - Critical shows affected including Windows XP SP3 for IE6, IE7 and IE8 being affected. 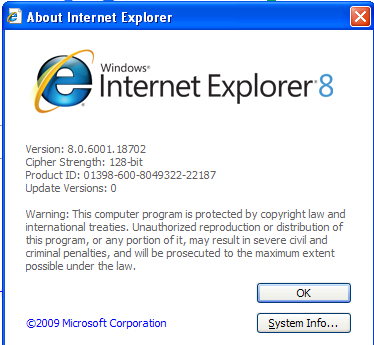 So that certainly does imply that they are doing the Out-of-Band Security Update for Security Update for Internet Explorer (2965111) does include Windows XP SP3 for IE6, IE7, and IE8. I just patched our 4 Win 7 computers and the one XP partition on a Win 7 computer. XP needs to be rebooted after the patch; Win 7 does not. Thanks for the info, Corrine! I guess I'll update the XP partition left on my now openSuSE laptop. Other Win 7 laptop has no notification for an update yet--guess I'll wait until tomorrow and then update manually. I just got mine on my XP Pro in VirtualBox. I left it for over an hour online after it got it's ESET Smart Security update waiting for it to get the IE Fix but it didn't get it. So I went to Windows Updates on the Start Menu and got it right away after it did it's normal search for what updates it has already. Did great. Now offline. Got mine on the WinXP Home Sony laptop and it came in on its own through automatic updates within about 1/2 hr. yes, thanks corrine, for the update! I agree 100%. This only prolongs the inevitable. XP is being updated since it is so to the cutoff and there are still roughly 200 million internet users of it out there. 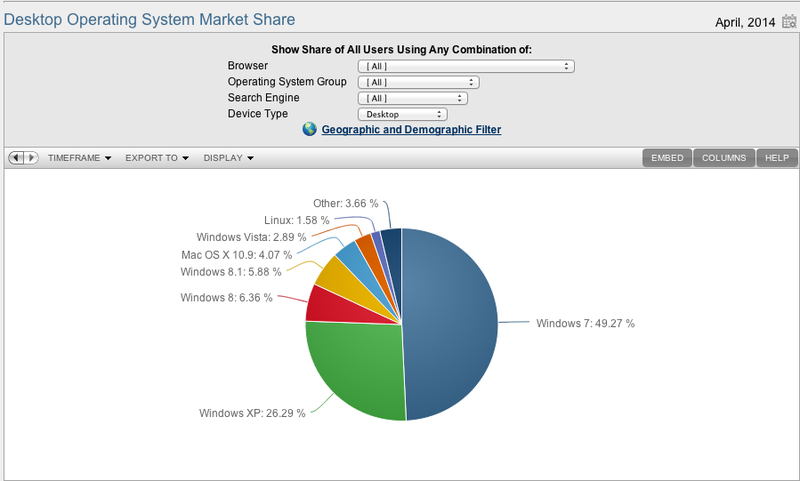 Keep that number when comparing to other companies and previous versions of msWindows, that is a huge comparative number of users. indeed, 200 million is big! This vulnerability requires some really convoluted methods to get into the system. Most are, but they still can happen quite easily.